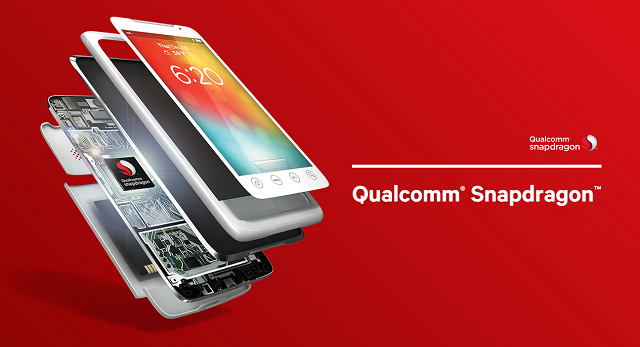 As we settle down in summer, a new addition to the rumor mill has been the Snapdragon 821. Qualcomm’s recent success with its Kryo cores seem to be working out quite well with the company, as it seems eager to launch an upgrade to the Snapdragon 820 debuted earlier this year. To that end, the Snapdragon 821 will be coming with several performance overhauls and today we’ve manage to get our hands on Qualcomm’s planned upgrades to its current Kryo cores. Read more below to find out more. As the Snapdragon 820 settles into the market, we haven’t seen Qualcomm’s flagship SoC outperform the other major offerings out there, with its strongest competitor being the Exynos 8890. The implementation of its custom Kryo cores on the Snapdragon has been a recent development by Qualcomm, so we’d cut the company some slack when it comes to perfecting performance. To that end, looks like Qualcomm’s finally ready to take up the mantle as a lot of details have surfaced about the company’s next generation Kryo cores, dubbed as the Kryo II. With the Kryo II, the US chipmaking giant will be making upgrades on quite a bit of fronts. The first of these will be an increased transistor count for the cores, as according to today’s source, the Kryo II will be coming with up to 260% the transistors of its predecessors, or an 1.6x increase. While this increase in transistor count is undoubtedly striking, it isn’t the only fact about the Kryo II which has surfaced today. According to folks from China, the new cores from Qualcomm will also be coming with improved power and performance features which should outmatch their predecessors in terms of raw benchmark scores while running at lower frequencies. According to Rec_2020, the Kryo II cores will be seeing their frequencies decrease to 1.7GHz, from an earlier 2.2-2.3GHz, yet deliver increased computational outputs. This will undoubtedly be the effect of the increased transistor count mentioned above and should also ensure that the next Kryo cores from Qualcomm will not only be able to outdo their predecessors in terms of raw computing, but will also manage heat and other performance related strains quite effectively. Finally, the last bits of today’s information about the Kryo II now claim that the cores will be able to outperform their higher clocked predecessors by up to 1.7 times, in terms of Geekbench scores. Equating frequencies, this results into a massive 3.5x increase, which really makes us wonder what Qualcomm’s got going on at its chip development departments. To wrap things up, Rec_2020’s also claiming that the Kryo II won’t be a part of the Snapdragon 830, even as an increased transistor counts suggests the implementation of 10nm. Things have finally started to become more interesting in the mobile hardware world, especially after we’ve seen information surface about both the Snapdragon 830 and the 821. The big question now is which Qualcomm chipset will see the implementation of today’s Kryo II cores. Things should become a lot clear once Samsung launches the Galaxy Note 7, expected this September as of now, so stay tuned and let us know what you think in the comments section below. We’ll keep you updated in the meanwhile.